When we think of baseball, we think of sunny days and leisurely outings at the ballpark--rarely do thoughts of death come to mind. Yet during the game's history, hundreds of players, coaches and spectators have died while playing or watching the National Pastime. 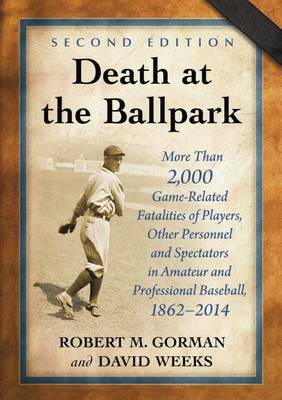 In its the second edition, this ground breaking study provides the known details for 150 years of game-related deaths, identifies contributing factors and discusses resulting changes to game rules, protective equipment, crowd control and stadium structures and grounds. Topics covered include pitched and batted-ball fatalities, weather and field condition accidents, structural failures, fatalities from violent or risky behavior and deaths from natural causes.